Quora at the moment is “very free” for its users. That is good and worrying at the same time. I know they have raised funding so that they can remain that way, but sooner or later they do have to monetize in order to keep the service running. What if Quora remained free in the digital world, but generated revenue in the physical world with Quora book series. Companies could use Quora as a way to find top consultants/talent in different fields, and then Quora could take a percent commission from the hire? 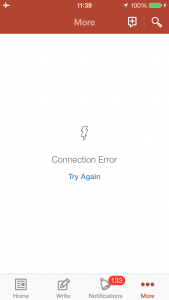 The challenge for me here was to avoid ads and monetization mechanics that would potentially damage or interfere with the Quora user’s experience. The “Quora Digest” email. Each day, I receive an update with trending questions based on the topics that I follow. On top of this I also receive updates to the questions where I selected the “I want answers” option. The Quora mobile app. The way I currently use it is go through recent questions and read a while. With the questions that I don’t have time to read, I add them to the reading list. 1. A brand sponsored question in the “Quora Digest”. Think of it as a special event or a sponsored event on behalf of a company (Osman mentioned this as well). 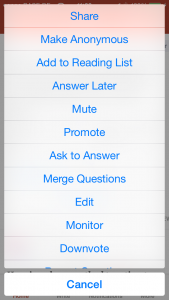 Targeting would not be a problem since each user’s digest is based on topics and questions that interests them. 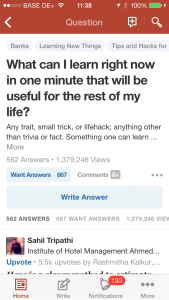 Quora could even give extra credits for people who answer and companies could give out prizes based on best answers (and why not worst answers). 2. An offline reading mode for the mobile app. I usually save questions to read them when I’m on the go: on a train, on a plane, on a boat… on a horse. I might not have access to the internet. Pocket has an offline mode for content. Google maps allows you to save parts of a map for offline viewing. So charge me for that. My suggestion is that they add the feature in a similar manner to Whatsapp’s subscription model: first year free so you can see the value, then $0.99 per year after that. I would love to hear your ideas on how else Quora could make money and keep being an awesome service without having to sacrifice user experience.